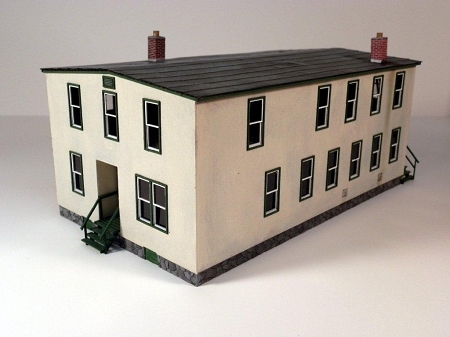 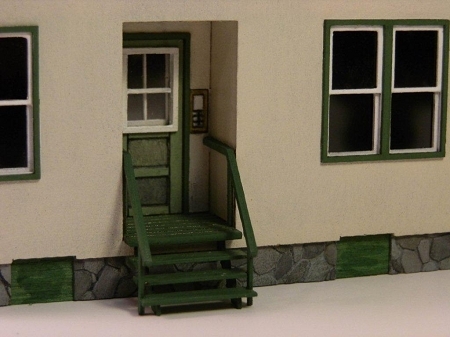 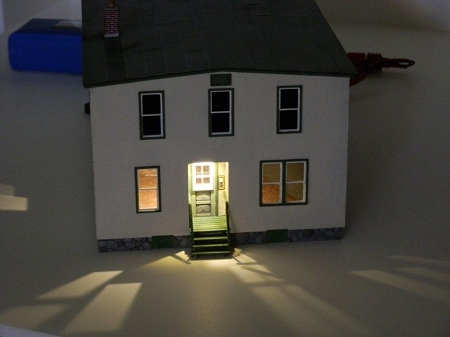 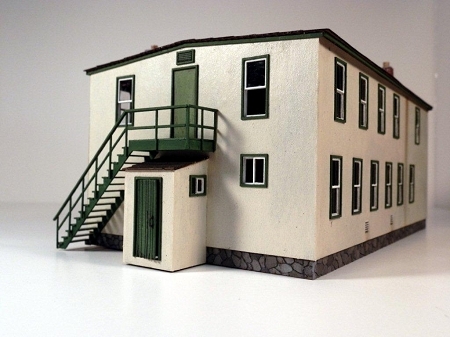 This is TT Scale kit of the Boyle Street Apartments, which are modeled after a 1920’s apartment building found in the climates of the northern United States and Canada. 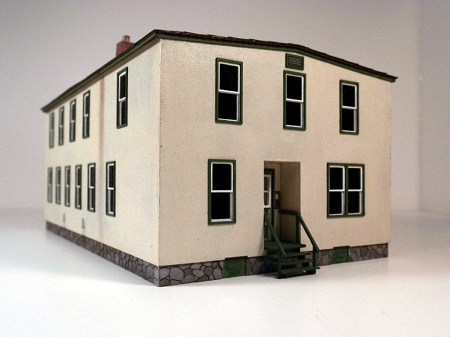 This building is showing its age, but newer windows have been installed to keep the building alive though the generations. 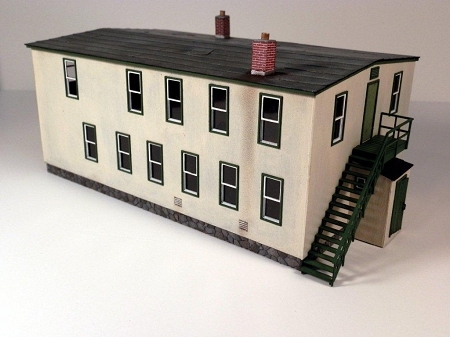 At home in a trackside neighborhood or even as a barracks in an army or cadet camp.